Odyssey FZG412W Guitar Amp Head Case w/ Wheels DJParts - All Variety of Parts that DJ Needs. 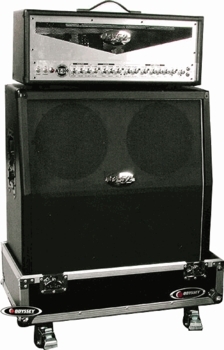 Get your act together with our 4 x 12 ATA Guitar Cabinet case. Features heavy duty construction and super smooth wheels with brakes. Fits cabinets or amps up to 29.75" x 29" x 16.125". Foam inserts allow you to customize the fit for most combos/cabinets.